Immersive storytelling sets it apart from most games. Interesting and tricky perspective-based puzzles. Kinetic and wicked melee combat scenes. Fantastic audio and visual effects. Steep learning curve – You have to discover things for yourself. It takes time for the real action to start. You will spend most of your playthrough trying to get an understanding of the experience of Hellblade: Senua’s Sacrifice. The main character is on a fantastic journey to the land of the Northmen, filled with tension, darkness and beauty at the same time. This is a story of loss, fear, sadness and confusion that will move you emotionally. Senua is a Celtic warrior who has to go through Helheim to get to the land of the Northmen. The story is filled with historical fiction and non-fiction, metaphors and mythology, all wrapped together in a thrilling, yet emotional adventure of Hellblade themes. The game has a Celtic-meets-Norse spin which brings out the mythical aspect. It is also a psychological study of the main character, Senua. She has to go through the mythical version of hell and rescue the soul of a loved one. The heroine goes through psychotic breakdowns, has visions, and constantly keeps on hearing voices. These are all sensitively and intelligently waived together in this amazing story. Apart from the physical journey towards the land of the Northmen, the game takes Senua on an internal journey as she also battles her inner demons. Hellblade: Senua’s Sacrifice explores psychosis and how it can play havoc on the human mind. A lot of consultation with neuroscientists and non-profit organisations were held during the development of the game. When you begin the game, you are asked to use headphones so you can hear the three-dimensional sound effects which seem like voices speaking to Senua within her head as she progresses through the game. The visuals in the game are fantastic – sunny, rocky beaches break deep dark scenes; a lot of colour and light are also used in the game to bring out the mystical aspect. These are all used to convey meaning in the game; exactly how she is feeling. 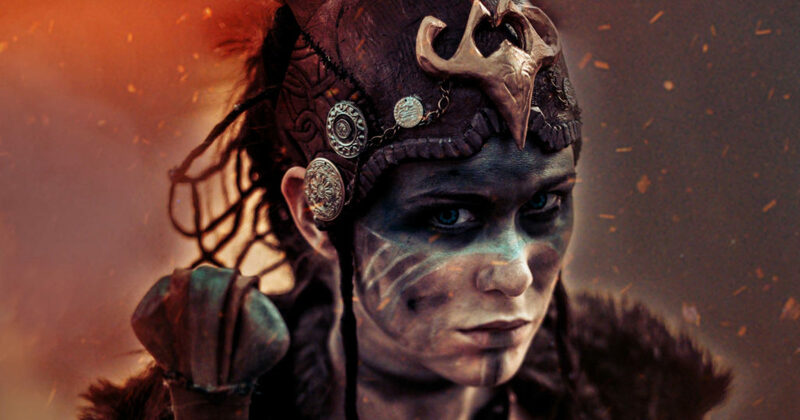 Senua – the heroine of the game. A trickster god – This is the main nemesis, who keeps on plaguing Senua and bringing about her psychosis. Also, creates enemies and puzzles that Senua has to overcome/solve. This is an amazing feat by the developers of the game. There is a third person camera that brings out the psychosis aspect of the game since it seems like a third person is haunting Senua. The sound effects enhance this effect further. The experience gets close to unbearable at some points. The mythical world forges dark fantasy, real horror and Norse legend to produce one of the most haunting landscapes you have ever seen. The scene can suddenly move from foggy and gloomy into bright sunshine without any warning. The Hellblade: Senua’s Sacrifice game concentrates heavily on the experiences of Senua and what goes on in her mind. There are various enemies who she has to fight, but it is all about her. Queuing is intended to create a connection between you and the main character. This commitment to the main character sets the game apart from most. 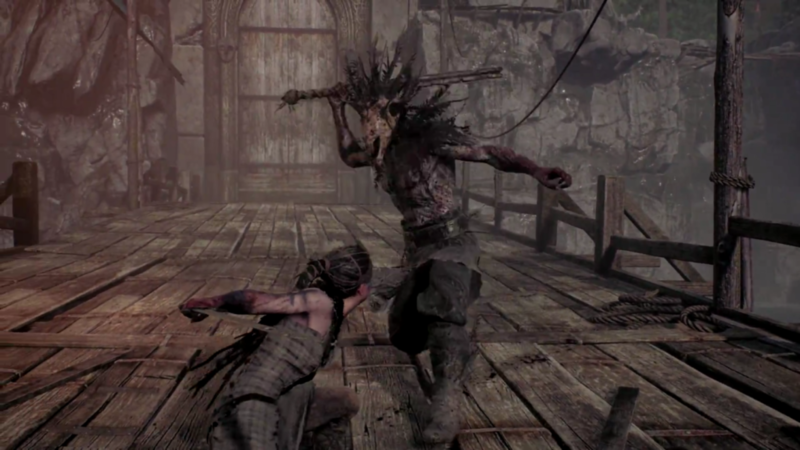 Many games of his nature tend to build the protagonist and antagonist at the same time, but in this case, the story revolves around Senua and how she interacts with her current scene. You get the feeling of a real, vulnerable human who has to fight her inner demons and rise to fight her enemies as she progresses on her quest. There are no tutorials or on-screen prompt that show you how to fight your enemies or what to expect at any time. This adds to the tension of the game. You have to learn as you go along; get to know how to counter attacks from outside your field of vision, use her abilities, block and evade attacks, and how to counter and defeat your enemy. The main enemy is the Tricky God who preys on Senua’s unstable mind to play tricks on her. There are real enemies that she has to fight as she proceeds towards the land of the Northmen. The enemies can pounce at any time, given that there are no ways of knowing where they are hiding. This makes for a fascinating experience. For people who love games that have an epic journey towards a definite destination, this is the game to play. The game moves away from the norm by giving you the experience of actually being the heroine. When you play the Hellblade: Senua’s Sacrifice using headphones, you may start wondering whether the voices are coming from your head. Enjoy the fantastic fight scenes and amazing visuals. However, be prepared to learn as you go along; there are no tutorials or on-screen tips.